The U.S. Chart Company and its Greatest Business on Earth (GBE) service is dedicated to the education of commodity traders, from beginners to pros. U.S. 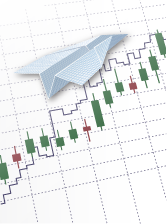 Charts teach trading strategies, provide market commentary, and produce educational videos. As a trader who studies the GBE methodology in-depth, I analyze the markets applying the methodology to look for trade setups. 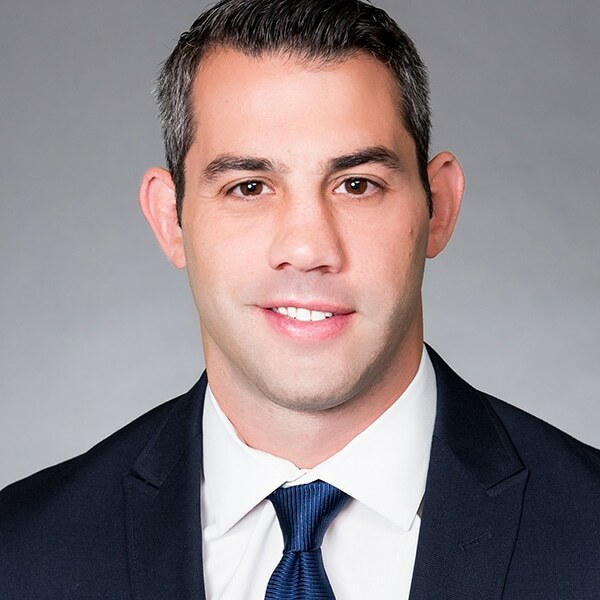 In doing this, I am a valuable asset to my brokerage clients that are U.S. Chart Company subscriber. Each trading day, I analyze the markets applying the GBE trading methodology of chart formation breakouts confirmed through key technical indicators, to identify trade setups. When a futures contract trade setup presents itself, I email a precise trade entry accompanied by a defined stop loss and profit target, so you have the facts you need to make a decision. Once in a position, you will receive management emails when it’s time to either tighten the stop loss or to take a profit. Then, at the end of each week, you will receive a summary email that reviews all positions and working orders to ensure you are on track.Take a look at the sample emails of what you can expect to receive. Each trading day, I analyze the markets applying the GBE trading methodology of chart formation breakouts confirmed through key technical indicators, to identify trade setups. When a futures spread trade setup presents itself, I email a precise spread trade entry accompanied by a defined stop on close and profit target, so you have the facts you need to make a decision. Once in a position, you will receive management emails when it’s time to either tighten the stop on close or to take a profit. Then, at the end of each month, you will receive a summary email that reviews the futures spread portfolio to ensure you are on track.Take a look at the sample emails of what you can expect to receive. Each trading day, I analyze the markets applying the GBE trading methodology of chart formation breakouts confirmed through key technical indicators, to identify trade setups. When a commodity option strategy setup presents itself, I email a trade setup accompanied by a defined trading plan. These emails provide precise entries based on GBE strategies such as the Strong 1, the Low Ball, Ratio Spreads, and Neutral Markets. Once in a position, you will receive management emails to liquidate contracts based on price alerts in the underlying futures market. Then, at the end of each month, you will receive a summary email that reviews the option portfolio to ensure you are on track.Take a look at the sample emails of what you can expect to receive. Introduction: The Trade Spotlight service provides trading education while identifying commodity trading opportunities from chart formation breakouts with confirmation from key technical indicators. This service applies all futures contracts, spreads, and options to trade the opportunities. Risk management plays a vital role from entry to exit. The Market Spotlight breaks down an individual commodity. You will learn the background, contract specifications and additional information pertinent to that market. The Market Spotlight should make you proficient in the markets traded in the Trade Spotlight advisory. You may not have the time to watch Jim Prince’s daily GBE Premium Alert videos or have need to consult with a second set of eyes and ears on the specifics. Well, I am putting my fingers to work by writing a concise nightly summary email of the Premium Alert videos exclusively for my clients and U.S. Chart subscribers.Take a look at the sample email of what you can expect to receive. Paper Trades: The Trade Spotlight advisories are based on the GBE trading methodology highlighting trade ideas, entry techniques, risk management, and exit strategies. Trade Tracking: Manage your open and closed positions for both futures and options contracts. 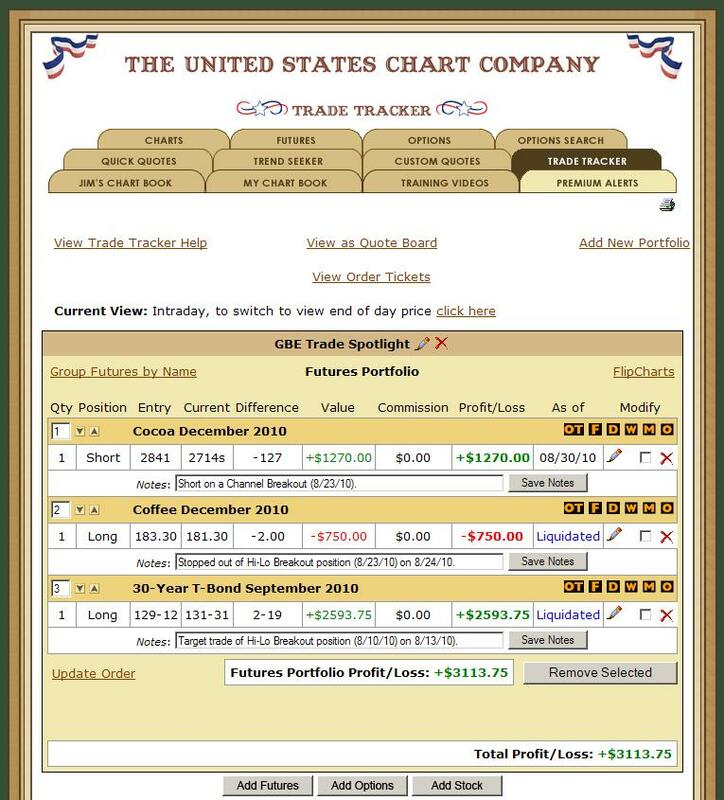 Trade Tracker will calculate your profits and losses to easily follow your paper trading history. Charting: Learn how to draw and read chart formations. 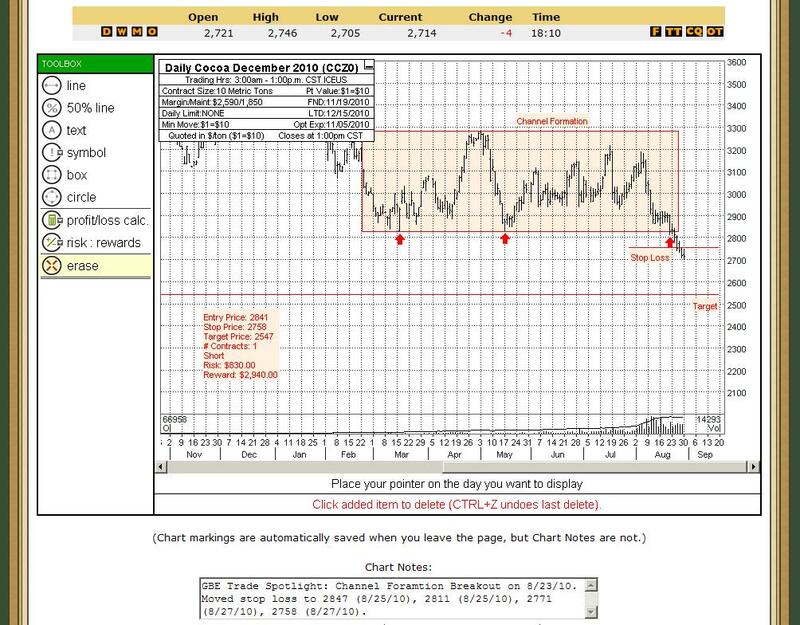 Create a portfolio with My Chart Book using the Trade Spotlight trades and your own ideas. 1 on 1 Mentoring: Discuss trade ideas, risk management strategies, and exits with your Daniels Trading Mentor. Establish An Account: Enroll in the dt Paper Trading Service by opening your Daniels Trading Account. There is no cost to open your Daniels Trading Account and you only need to fund when it’s time to execute your first trade.